Sugarstyle Millenial is a hand made crafted with love. It's authentically hand lettered in my beautiful studio! The pack includes alternates for lowercase characters to make it look like freshly hand written. Designed to work perfectly in multiple designs like wedding invitations, website logos, Instagram posts and many many more. 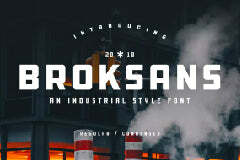 This font is free for personal use only, but you can buy the commercial license here.